Designed for the collaborative improvement of teaching and learning. 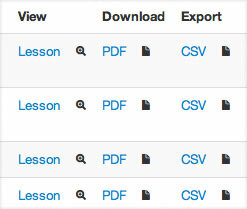 LessonNote is the best tool for documenting the flow of a lesson and its impact on students. 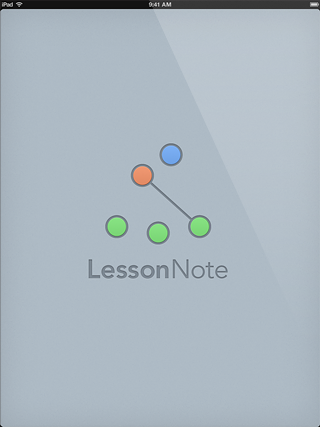 LessonNote lets you track who is talking to whom, when, and for how long, and lets you jot handwritten notes about what is being said and what students are doing. 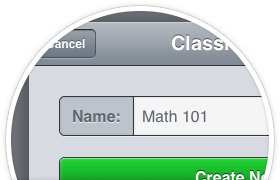 LessonNote can also record photos of student work. Create a seating chart, which may include a teacher, students, groups, and display areas (such as chalkboards). 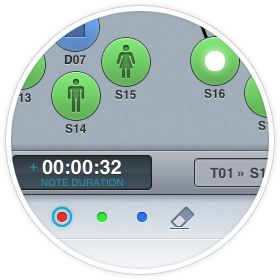 Record observations by tapping on an entity, or drag from one entity to another to record an interaction. 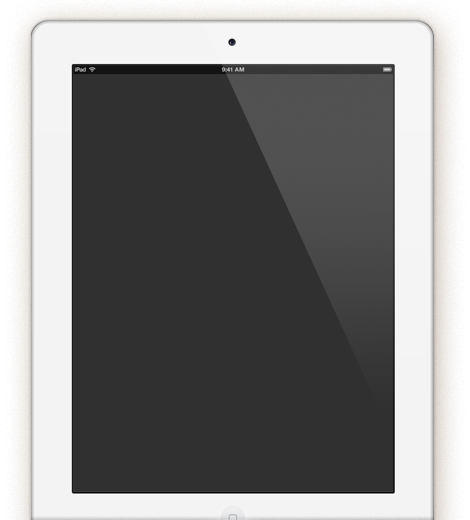 Take photos or insert existing photos into your notes. Use a "seating chart note" to quickly make notes about multiple students. When you review your notes, a dynamic seating chart display highlights whom a note was about, while a timeline provides a birds-eye view of the lesson, showing when events occurred and how long they lasted. LessonNote helps users record factual, non-judgemental observations of individual events and behavior. Tested through Lesson Study, it is ideal for peer observations and for coaching. For administrators needing to evaluate teachers, it improves on simple checklists by helping document how lessons affect students—which is, ultimately, what teaching is all about. 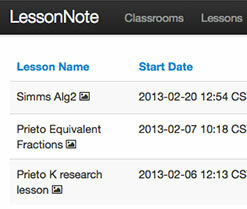 Work with colleagues and use LessonNote to improve teaching and learning! LessonNote facilitates non-judgmental discussion around how a lesson affected students. LessonNote Pro is a web-based companion to LessonNote that provides important additional capabilities for administrators, instructional coaches, researchers, and others who routinely use LessonNote in their work. It is also for teachers who record anecdotal notes about their students' learning. View lessons from any web browser, and download photos. Backup and store notes long-term. 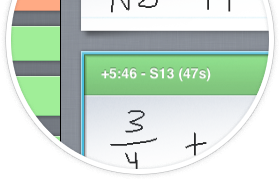 Export notes to PDF for sharing or to CSV for statistical analysis. The mission of Lesson Study Alliance is to promote and support the effective implementation of lesson study to improve K-12 teaching and learning, especially in mathematics and science. Thomas McDougal, Executive Director, has a degree in engineering from Dartmouth College and Masters degrees in teaching mathematics and in computer science from University of Chicago. He taught high school mathematics for 6 years in the Chicago public schools and was a math specialist for 5 years at Williams Elementary. Since 2007, he has worked with Dr. Akihiko Takahashi to promote and support lesson study. Founder, McDougal, Littell & Co. Lesson study is a way to explore new teaching ideas through a single carefully-planned "research lesson." After the lesson, the planning team and observers discuss how the lesson impacted the students and how the lesson could be improved. Through this one lesson, participants gain new insights into teaching and learning. "Lesson Study is by far the best form of professional development I have ever seen." The design of LessonNote has been shaped by the accumulated knowledge of Japanese educators, based on over 100 years of using lesson study to improve teaching and learning, and by the experiences of educators implementing lesson study around the world. Cow pork meatloaf, t-bone ball tip ham hock salami capicola jowl ribeye kielbasa pork belly. Pork belly shoulder turducken chicken. Chuck pork belly chicken, capicola tail tenderloin tri-tip pig.